W. W. Norton & Company, 9780393254020, 448pp. In 2010, the 2008 global financial crisis morphed into the "eurocrisis." It has not abated. The 19 countries of Europe that share the euro currency--the eurozone--have been rocked by economic stagnation and debt crises. Some countries have been in depression for years while the governing powers of the eurozone have careened from emergency to emergency, most notably in Greece. In The Euro, Nobel Prize-winning economist and best-selling author Joseph E. Stiglitz dismantles the prevailing consensus around what ails Europe, demolishing the champions of austerity while offering a series of plans that can rescue the continent--and the world--from further devastation. Hailed by its architects as a lever that would bring Europe together and promote prosperity, the euro has done the opposite. 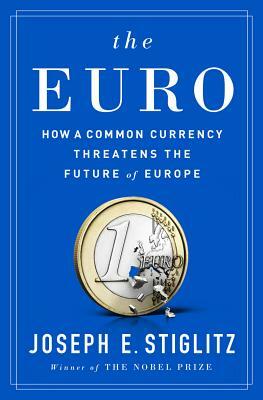 As Stiglitz persuasively argues, the crises revealed the shortcomings of the euro. Europe's stagnation and bleak outlook are a direct result of the fundamental challenges in having a diverse group of countries share a common currency--the euro was flawed at birth, with economic integration outpacing political integration. Stiglitz shows how the current structure promotes divergence rather than convergence. The question then is: Can the euro be saved? After laying bare the European Central Bank's misguided inflation-only mandate and explaining how eurozone policies, especially toward the crisis countries, have further exposed the zone's flawed design, Stiglitz outlines three possible ways forward: fundamental reforms in the structure of the eurozone and the policies imposed on the member countries; a well-managed end to the single-currency euro experiment; or a bold, new system dubbed the "flexible euro."